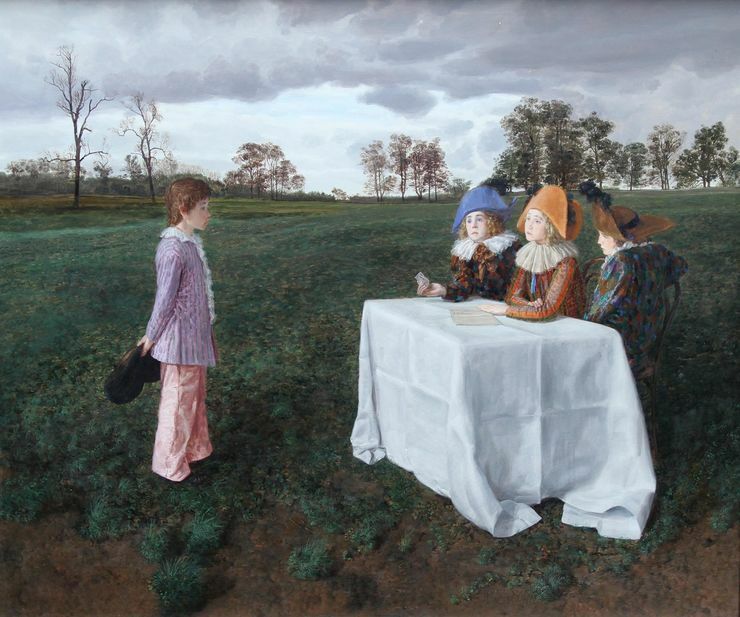 An original oil on panel by British artist Claude Harrison who exhibited throughout his career. This stunning oil is a bold pristinely painted Surrealist work that was exhibited at The Royal Academy in 1974 and is titled The Examiners. Painted in 1972 and in fine gallery condition. 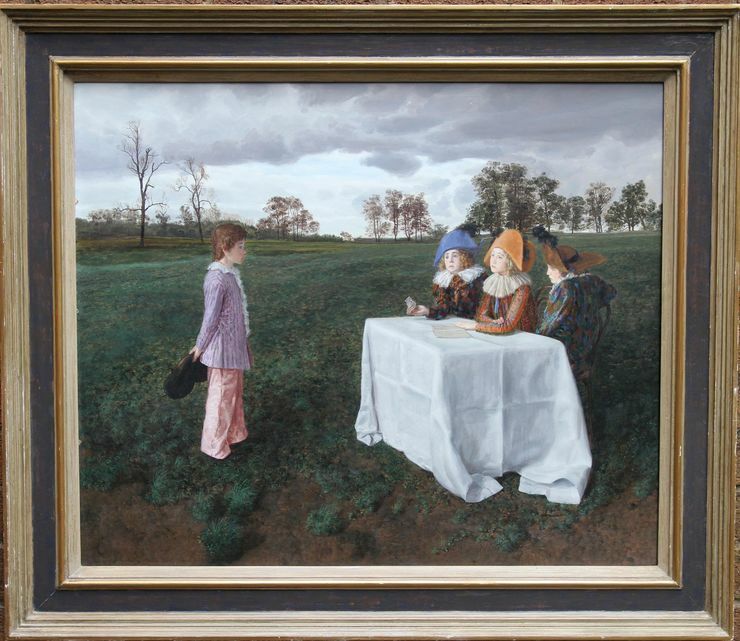 The painting was exhibited at The Royal Academy in 1972 and retains Royal Academy provenance. A very colourful and vibrant painting. The Royal Academy 1972 Number 765. Royal Academy label verso. Housed in a James Bourlet exhibition gallery frame excellent condition 38 inch by 32 inch. Gallery condition. Claude Harrison ARCA. RP. Member of the Royal Society of Portrait Painters was born in Lancashire. He was educated at Preston College of Art 1939-41, Liverpool College of Art 1941-42 and the Royal College of Art 1947-50. He had studios at Ambleside. He is a painter of portraits, conversation pieces and imaginative figurative compositions. He was a regular exhibitor at the Royal Academy for 32 years and the Royal Society of Portrait Painters. Harrison is a widely collected and highly regarded Cumbrian artist.